Having a free Saturday at the end of my trip around the world in twelve days is nothing spectacular. Having it in Tokyo is. A bit of web research helped to come up with an itinerary that would take me to some of the highlights of this fascinating city. To join me for the sightseeing trip continue after the jump…. Along with my Olympus PEN-F and the mZuiko 14-150mm F/4-5.6 travel zoom I started at 8:30 from Shinagawa station, taking the subway to the famous Tsukiji Fish Market. 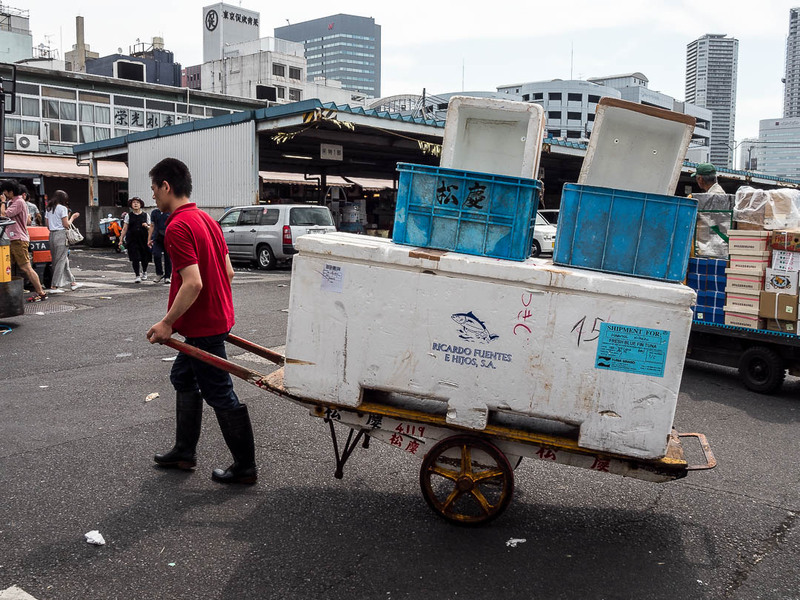 This market has been around since the 16th century.It is the largest wholesale seafood market in the world; each day 400 types of seafood are handled amounting 2,000 tons of fish and other seafood each day. The atmosphere is quite fascinating with a constant traffic of scooters, delivery trucks, buyers and vendors. 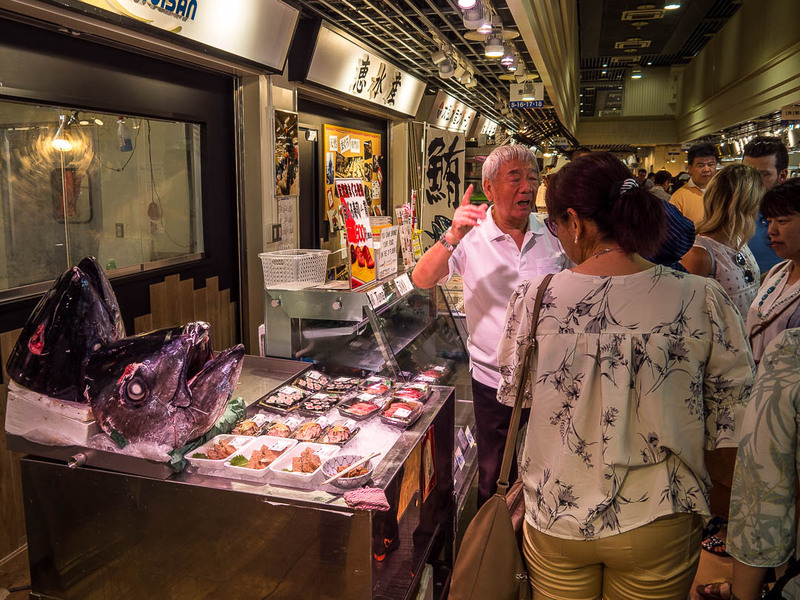 Most of the fish trading is done in the inner market. This is where the famous tuna auctions are held. Unfortunately this is not accessible to visitors. But I used the opportunity to treat myself to some fresh Sashimi I bought directly from one of the vendors. 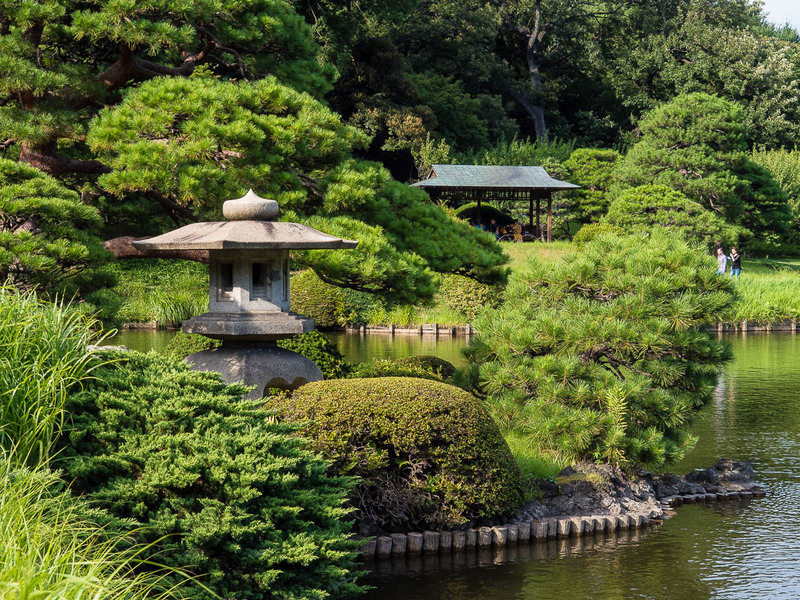 A 15 minute walk from the fish market is the HamaRikyu Garden. 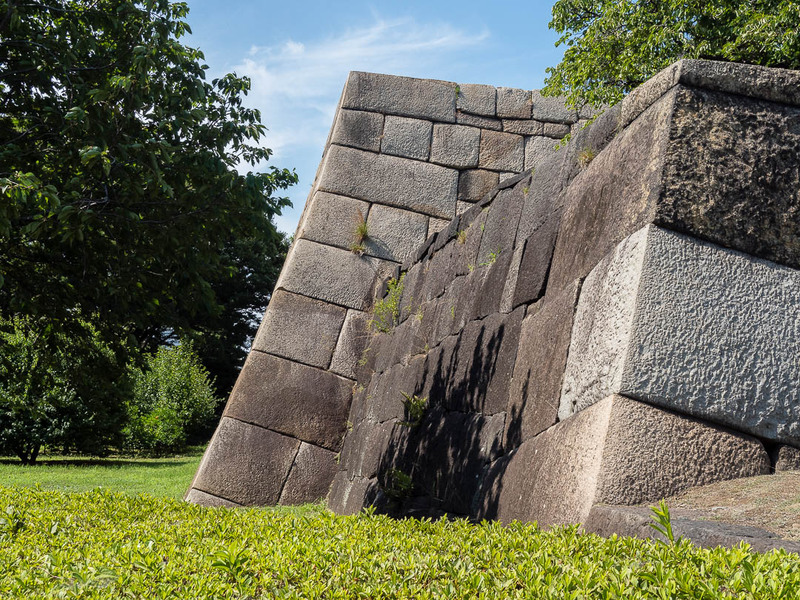 These beautiful gardens served as hunting grounds for the shoguns. They eventually became part of the Imperial household were opened to the public in 1946. The gardens have a central saltwater tidal pond, the level of the water is regulated according to the tides in Tokyo Bay. Visitors can enjoy tea in the historic teahouse on an island in one of the pond. 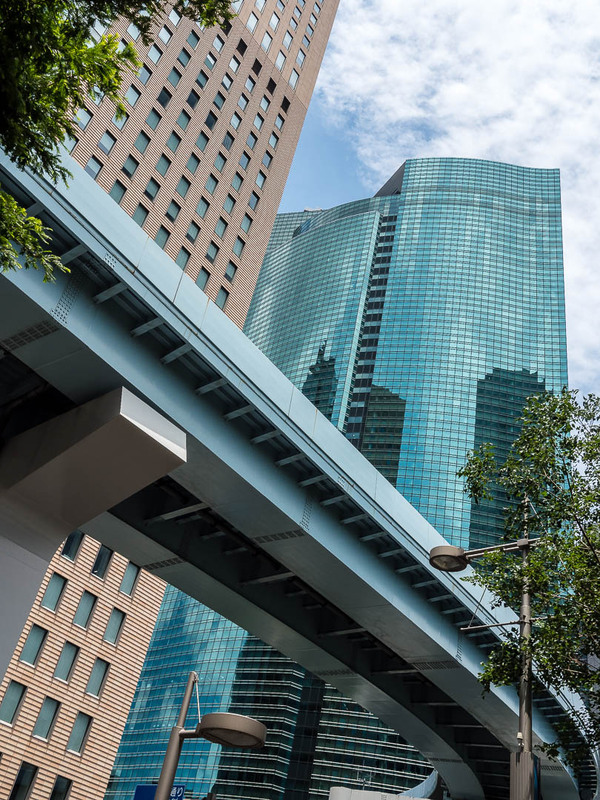 Towering above the tranquil and picturesque garden with remnants of the former fortifications are the shiny skyscrapers of the Shiodome business area. 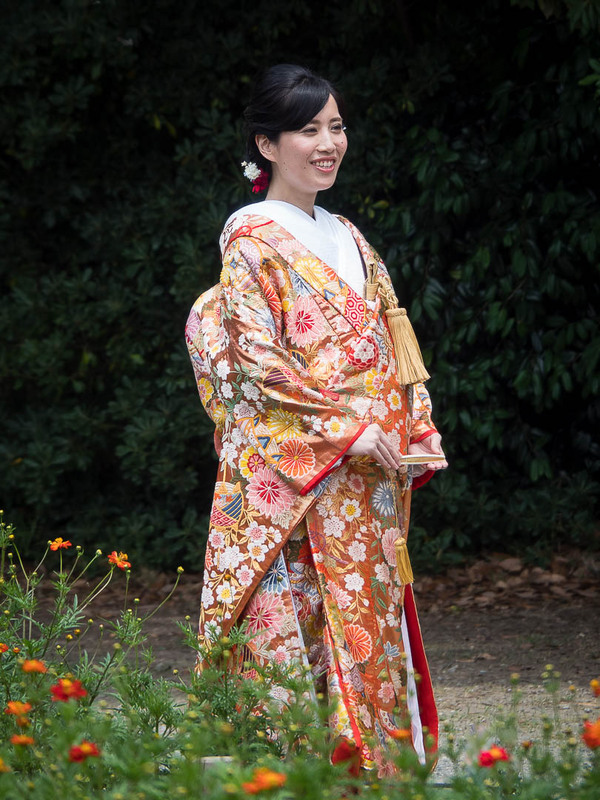 There I witnessed a photo shoot of a Japanese wedding couple in traditional kimonos, and I managed to get a few shots myself. Continuing through the modern architecture of Shiodome I walked a good half hour to Tokyo Tower. The tower is the landmark of the city, it was constructed in 1958. 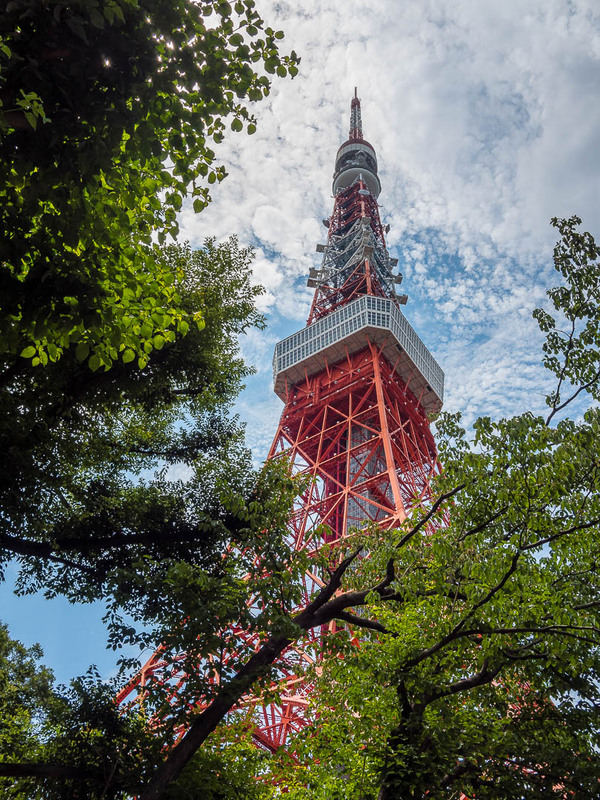 It rises 333 meters from the ground and is the 2nd tallest structure in Japan. 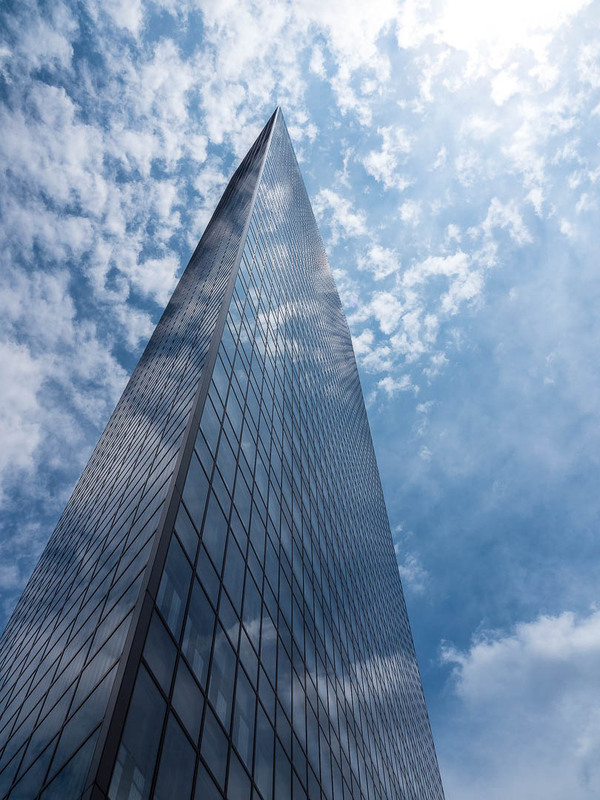 The tower was inspired by the Eiffel Tower in Paris. From the main observation deck 150m above ground you have an unobstructed 360 degree view of Tokyo, which was especially nice on a clear day like this. 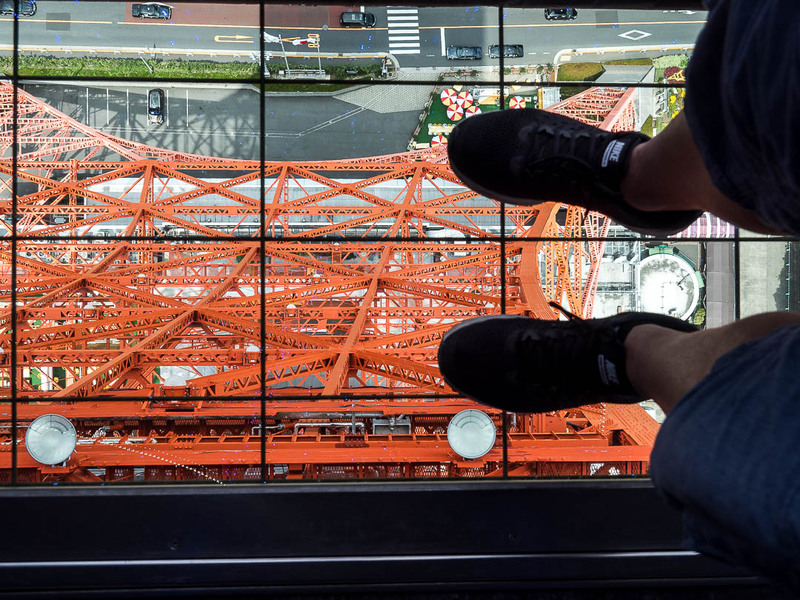 And there is also some glass flooring for the brave to stand on. 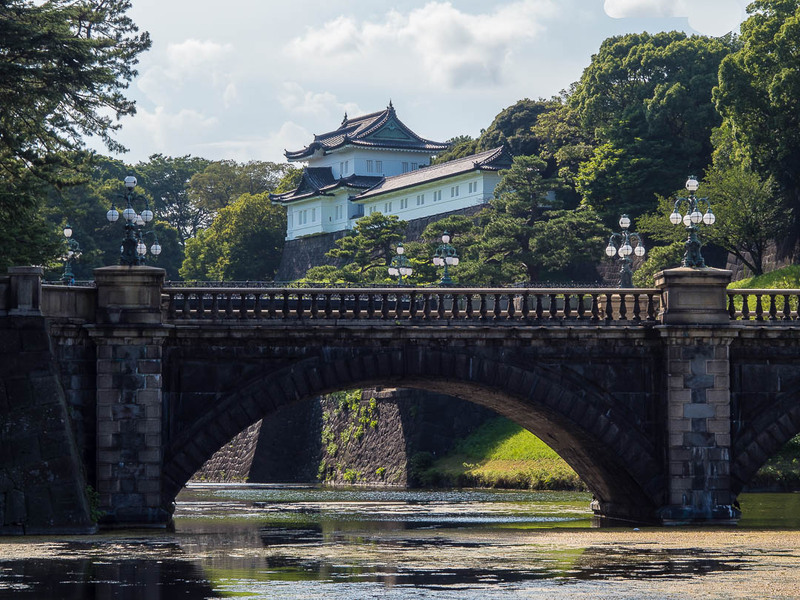 A short subway ride away was my next stop, the Imperial Palace East Gardens. 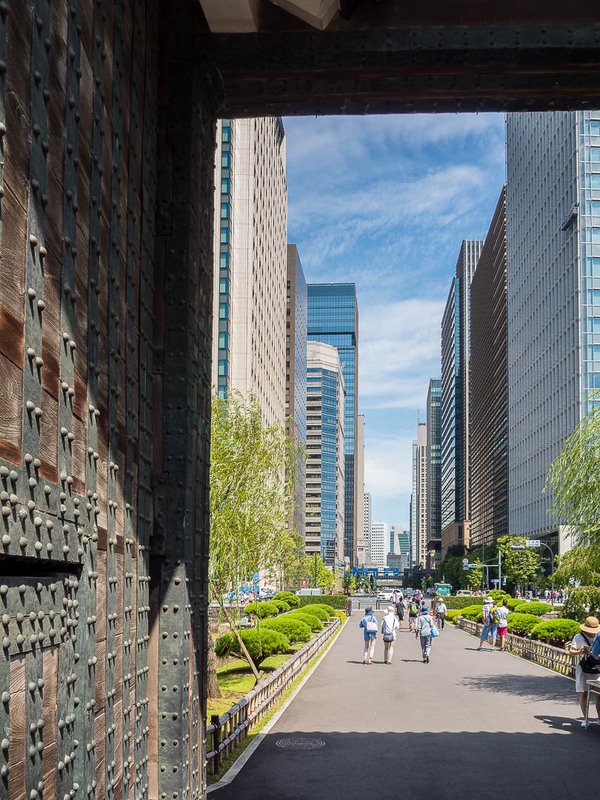 Entering through the Otemachi Gate, at the edge of Tokyo’s financial district, the gardens are the inner palace area where Tokugawa Shogun (1603-1867) and later emperor Meiji (1868-1888) once resided in Edo Castle. The main buildings of this mighty medieval castle no longer exist but you can see the remains of walls, gates, moats, guardhouses and the foundation of the massive castle tower which stood on the hill. 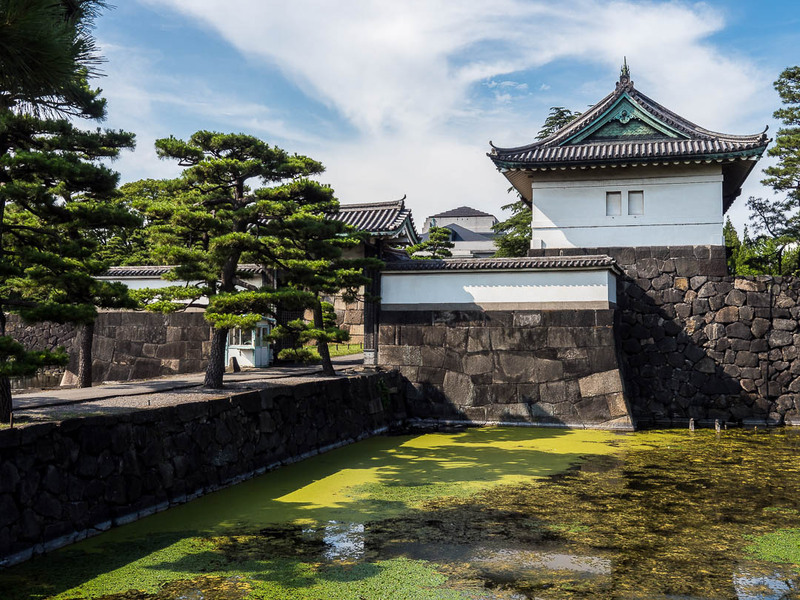 Walking along the water filled moats I reached the outer gardens of the residence of the Emperor of Japan. The imperial residence is a complex of buildings spread out across 3.5 square kilometers of lush landscaped gardens and grounds, it includes the palace itself, a museum, archive, administrative offices and the private residence of the present imperial family. 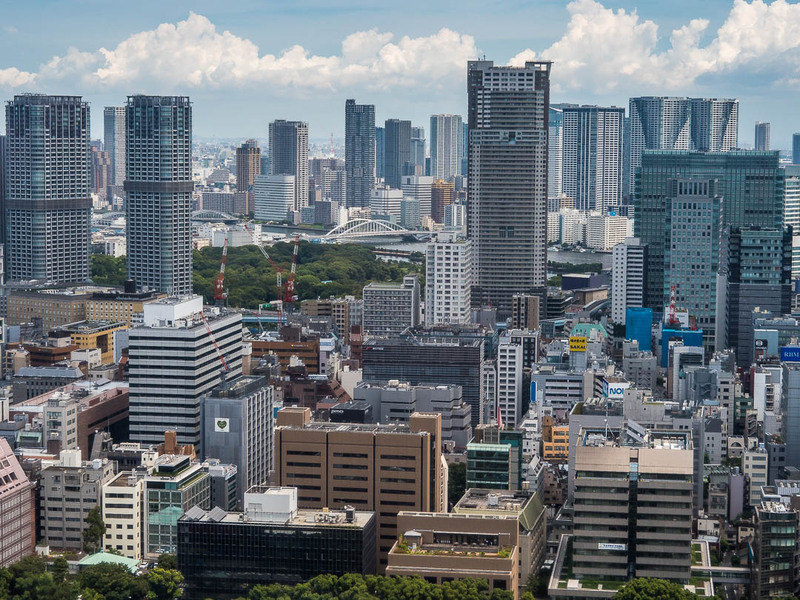 The palace is roughly in the center of Tokyo and is surrounded by government buildings. The palace itself is visible from the Nijubashi Bridge. Another subway ride took me to Shinjuku Gyoen. 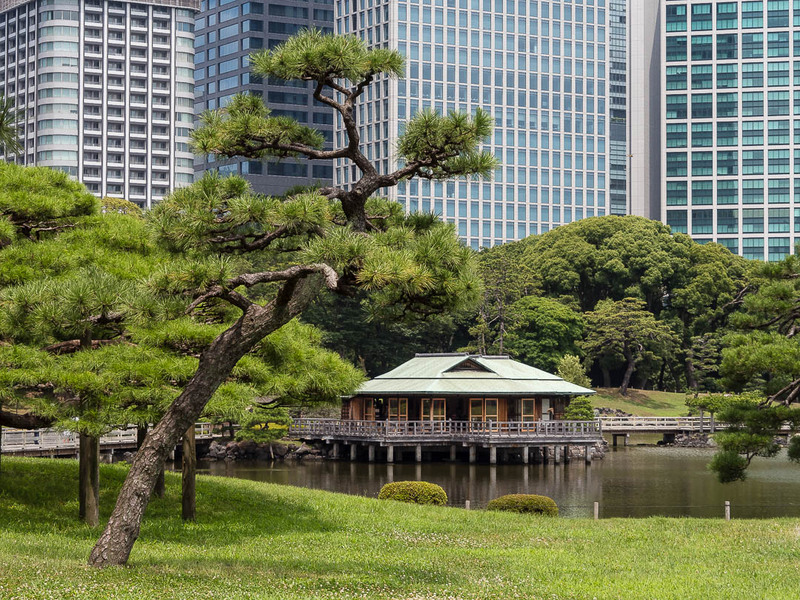 This public park was constructed as the garden of a feudal lord’s mansion during the Edo Era; it was completed in 1906 and is Tokyo’s largest and perhaps most beautiful park. In the garden there is a tea house, a large pond with islands and elegant bridges across the water. The gardenscape is so beautiful and I can only imagine how it looks during the time of the cherry blossom. Last stop on my tour through Tokyo was Shibuya, which I reached by another subway ride. The area is one of Tokyo’s shopping Meccas. 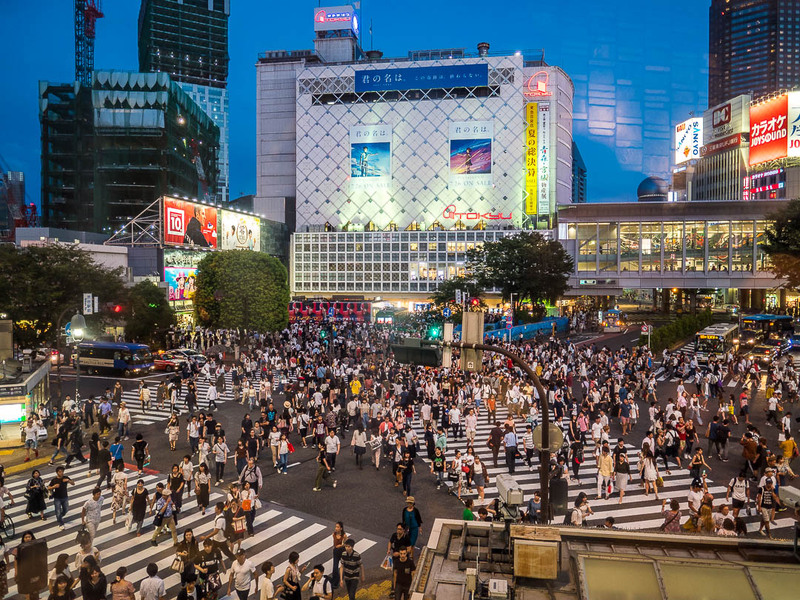 The popular shopping and restaurant district centers around the Shibuya train station. Main claim to faim is the Shibuya pedestrian crossing. 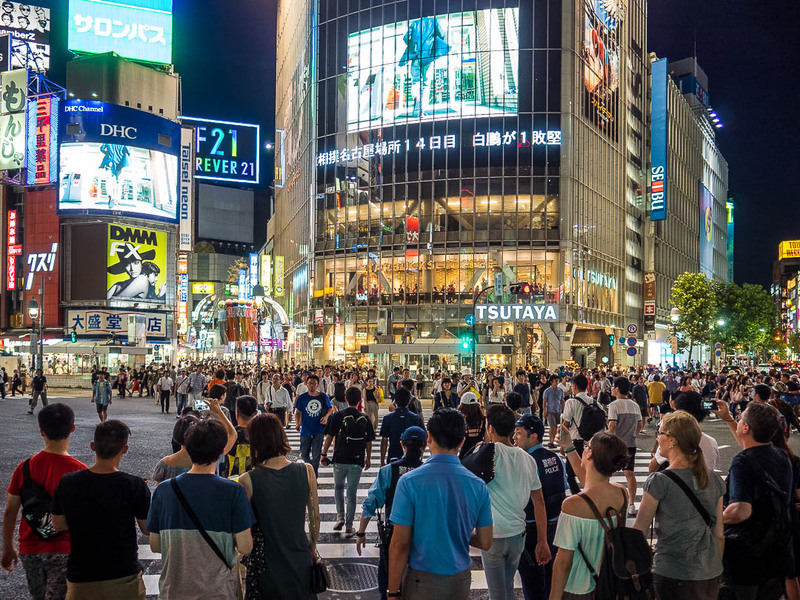 The Shibuya pedestrian crossing, one of the most photographed spots in modern Tokyo and one of the busiest crossings in the world. All traffic lights are switched to red together, in that moment hundreds of pedestrians swarm on the crossing from all directions. This is best observed from the second floor of a Starbucks in the one of the neon lighted buildings, that form the Times Square of Tokyo. Dead tired after 12 hours of sightseeing in 34 degrees and blazing sunshine I took the train back to Shinagawa after a memorable day on the Streets of Tokyo. Tomorrow I head home to Nuremberg, completing my business trip around the world in twelve days. Great pictures of this astonishing and very interesting city. 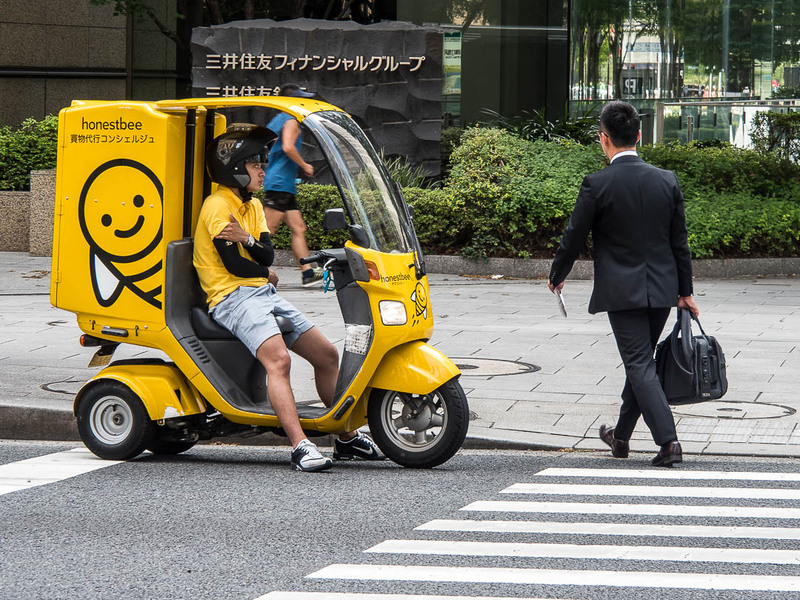 I was in Tokyo two years ago and although at first sight it might have looked like an ordinary albeit extremely large ‘western’ city, there are deeper layers underneath that needs several longer periods of staying to be revealed, as far as possible for a non-Japanese. You did have a very long day of running about there and you surely have seen a lot! Thanks, Peter, your kind words mean a lot! 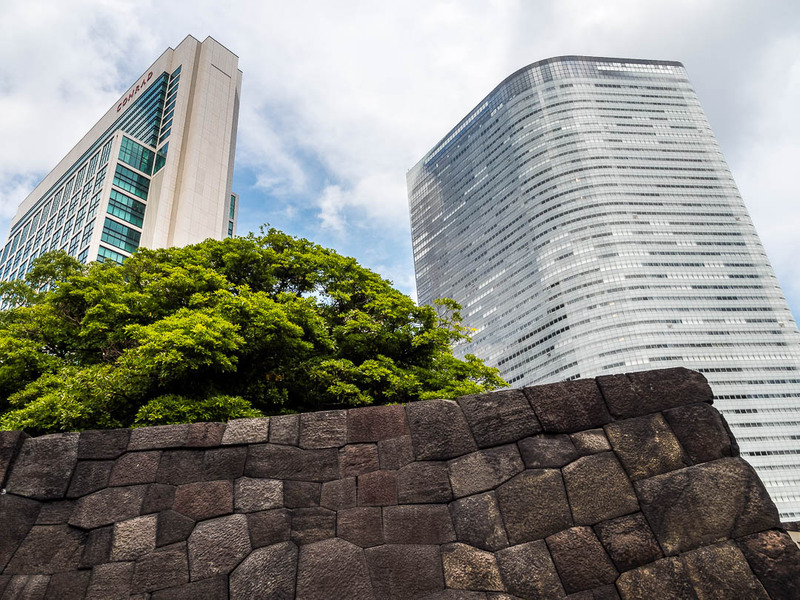 Tokyo really is a fascinating city, a mix between east and west, old and new, multilayered in so much aspects. And yes, it was a long day exploring…. Wonderful post, Japan is on bucket list! So beautiful!!! 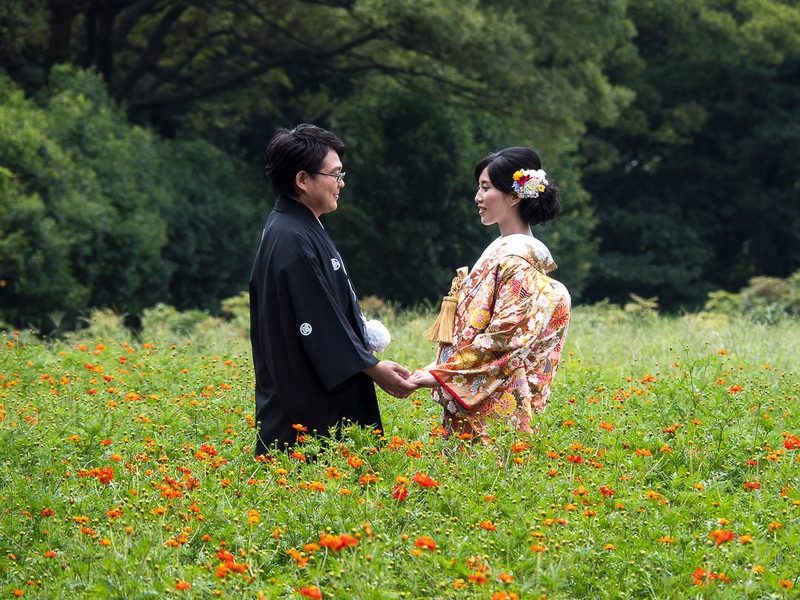 The bride and groom in the garden – amazing! I’ll bet you’re exhausted…but worth it! The pictures are so amazing. I like Shinjuku Gyon and Tokyo Tower most. You certainly made the most of your time in Tokyo, didn’t you? Your photos are beautiful, Marcus — it’s very impressive that you can handle every subject, from portraits to cityscapes. I also loved the diversity of your shots; this post is like a mini-guidebook for the city. Thank you (as always) for sharing your travels and photos! What a wonderful introduction to Tokyo Marcus. Superb photos making it even more tempting now to visit! M.
Marcus, that is so awesome that you were able to see the world, to meet interesting people and take fantastic photos. I like the photo of the bride; she has such a beautiful smile. That is so great that you were able to take her photo. 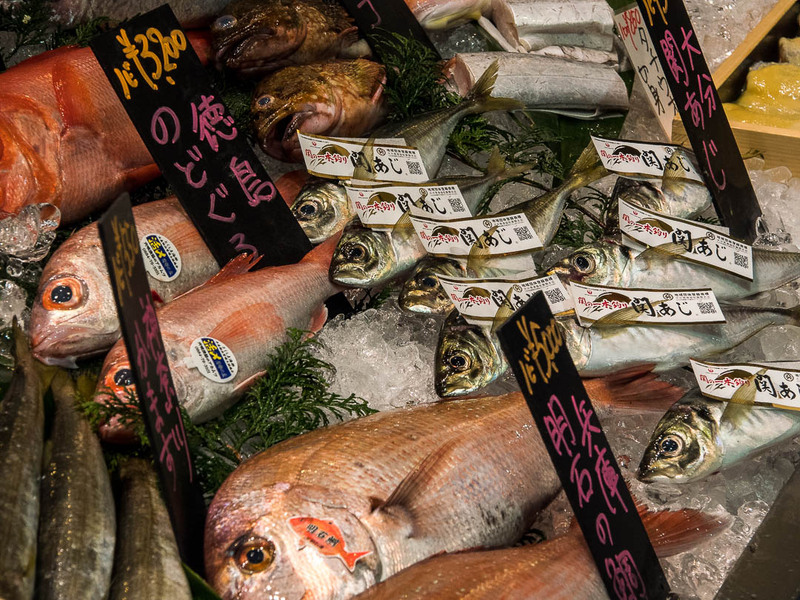 The photo Tokyo Tower made me smile; the fish market is great also. Simply wonderful series “Around the World…” !!!!! I am enjoying them a lot. Wish you a nice week. And peaceful. Thanks, Kaya, love your kind words! Have a nice week as well! Wünsch dir einen guten Flug nach Hause bzw. Hoffe du hattest einen guten Flug und bist safe and sound wieder bei deiner Familie angekommen! Marcus, very nice. The gate image is my favorite. It’s the framing that does if for me. Pleased you’re back home but then I suspect your family is most happy about your return. Great pictures – brought back some wonderful memories! We love Tokyo! This is amazing! I love the photos!